Did you know that even if you're not a great puzzle solver and you never get on the air, you can still win cash from Wheel of Fortune? Simply sign up for a Spin ID from Wheel of Fortune's Wheel Watchers Club and you could be automatically entered into the special sweepstakes and giveaways that Wheel of Fortune offers on a regular basis. Getting your own Wheel of Fortune Spin ID is easy. 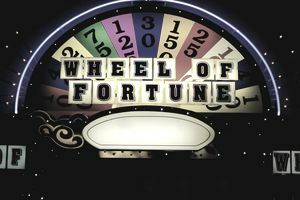 Simply visit the Wheel of Fortune website and follow the links to join the Wheel Watchers Club. Fill out the registration form or use your Facebook login to sign up. Be sure to watch for a verification email, since your account won't be activated until you have clicked on the link in the email. You are eligible to get a Spin ID if you are a resident of the United States who is at least 13 years of age. You can read the Wheel Watchers Club's Terms and Conditions for more information about how the personal data you submit will be used and stored, among other useful information. Aside from chances to win, joining the Wheel Watchers Club has other benefits including the chance to get VIP tickets to tapings of the show, discounts off of purchases from the Wheel of Fortune eStore, and more. When you join Wheel of Fortune's Wheel Watchers Club, you will be assigned a combination of letters and numbers called your "Spin ID". Club members with a Spin ID will be automatically entered into special sweepstakes drawings that Wheel of Fortune runs on a regular basis. The giveaways you enter with your Spin ID change regularly, with some offering daily cash prizes, others giving home players the chance to win whatever the contestants receive. Generally, a Spin ID will be chosen at random from all that have been assigned. Winning Spin IDs will be announced during the show, and you can also log into the WoF website to check if your ID has won recently. It is the winner's responsibility to check the announcements and claim their prizes. Having a Spin ID can also give you additional entries into the randomly-drawn giveaway that PCH offers. If your Spin ID is picked, you have 24 hours from the on-air announcement to claim your prize by logging into the Wheel of Fortune website, clicking on the "Check Spin ID" link, and following the directions. If you're too slow, you forfeit your prize! Plus, you won't be eligible to win giveaways if you don't log in on a regular basis. Even if you didn't see the show, you can still find out if you're a winner of any recent giveaways. Clicking on the "Check Spin ID" link will tell you if you won or not, regardless of whether you watched the show. Just make sure to check every day that Wheel of Fortune airs so that you don't miss your chance to find out if you have won. If you go on the Wheel of Fortune website and click on the link to check your Spin ID, your Spin ID will be displayed along with the news of whether you won or not. You can then jot down your number and keep it handy to check when you watch The Wheel. To enter and win, you must be a resident of the United States at least 18 years of age, and you must have logged into your Wheel Watchers Club account within the past six months. You can read more details and restrictions on the Wheel of Fortune website. What Happened to the 5k Every Day Giveaway? The 5k Every Day Giveaway is a regular promotion that offers Wheel Watchers Club members the chance to win daily $5,000 prizes. Wheel of Fortune frequently offers this giveaway, but if you are having trouble finding it at the moment, it might not be available at the moment. Wheel of Fortune will occasionally put the 5k Every Day Giveaway on hiatus" while they run other kinds of promotions. Aside from automatically entering sweepstakes, joining the Wheel Watchers Club and getting a Spin ID gives you access to other bonus offers. For example, Wheel of Fortune has offered Sony Rewards Points to Wheel Watchers Club members who entered the solution to the Bonus Round Puzzle aired on each day's show. Check the Wheel of Fortune website to see the current giveaways, discounts, and special offers that Wheel Watchers are eligible to receive. If you want to find out about more current chances to win free money, check out TheBalance's Cash Sweepstakes List. You can also visit the Instant Win Sweepstakes List for other chances to find out right away if you're a winner. To get sweepstakes news and new chances to win delivered directly to your inbox, sign up for my free sweepstakes newsletter.